Split. So gorgeous that a Roman Emperor chose it as his retirement home. More than 1700 years later, Diocletian would not recognise the destination in which he chose to spend his final years, but he would perhaps be pleased to hear that his legacy live on in the modern era. Not only does the palace he built still bear his name, but it is also one of Croatia’s eight UNESCO World Heritage Sites. And can there be a better UNESCO site on the planet with better views? For the absolute best views of the old town and bay, climb to the top of Sv. Duje bell tower. Too lazy? Let us do it for you, with this astonishing timelapse. Split at its finest! According to the data from the eVisitor system on May 31, 2017, Split-Dalmatia County recorded 221,513 guests during the month of May, which is a 15% better than last year. Thus, a total of 866,072 overnight stays were recorded in May, which is an increase of 11% when compared to May 2016. This breakthrough in Central Dalmatia has proved the preseason is stronger than ever. “We entered the tourist season earlier than ever this year. 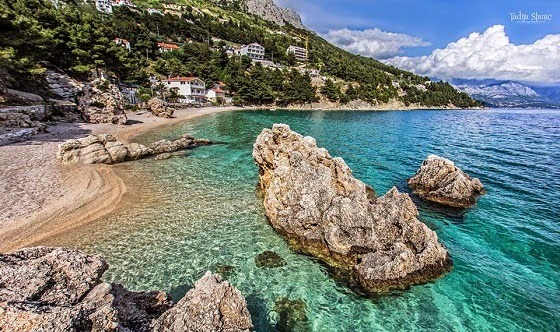 Tourist areas on the coast, the islands and in the Zagora region showed signs of large groups of guests and full accommodation facilities, and numerous events made their stay special and unforgettable,” said Joško Stella, director of the Tourist Board of Split-Dalmatia County. In the period from January to May 2017, there were 393,916 arrivals and 1,272,673 overnight stays in commercial accommodation, which is a 23% increase in visitors and a 20% increase in overnight stays from last year. During this period, tourists from Germany (40,853), the UK (28,199), South Korea (32,022), Bosnia & Herzegovina (23,055), and France (21,116) made up the largest number of arrivals from foreign markets. At the same time, the largest number of overnight stays were also recorded by Germany, the UK market, Bosnia and Herzegovina and France. “From January to the end of May, we recorded 27% more arrivals by foreign visitors and 23% more overnight stays. Because the number of domestic arrivals in Central Dalmatia grew in the same period, all factors indicate that our extensive and comprehensive marketing activities will yield results this year as well. The tourist centers of Split-Dalmatia County have been seen around the world on the most watched European television stations, and the most prominent international media has brought stories of the history, culture, and beauty of Split, Hvar, Makarska, Trogir, and Brač,” concluded Stella. Parking in Split Just Got Easier: New App! There is nothing more frustrating than arriving at your holiday destination and then finding nowhere to park, especially when that destination is one as gorgeous at the Dalmatian capital of Split. With the huge increase in tourism in recent years in Dalmatia, finding a place to park is becoming a little harder than it once was in the city, but technology has come to the rescue to offer some assistance in the form of a new Split Parking application. The Split Parking system has a sensor which detects whether a parking space is free or occupied, visually presenting the actual condition of each parking space on the mobile application. This gives users the ability to see the current situation of each parking space on the screen of their mobile device (for example, users will be able to see the number of free parking spaces, from commercial to disabled). A view of the parking lot will be visible in the form of a pin on a map, which will contain numerical information about vacancies. You can download the application here. To learn more about Split as a destination, click here. Why You Should Choose Central Dalmatia for Your Next Sailing Holiday. In 4 Minutes. It has gorgeous beaches, the most UNESCO World Heritage Sites in all Croatia, the sunniest island in Europe, and a breathtaking coastline. There are so many reasons to visit Croatia, but if you are a fan of sailing, Central Dalmatia is one of the top destinations in Europe. Some of the cleanest seas in the world, some of the most divine coast and islands, fabulous food and wine. Not convinced? 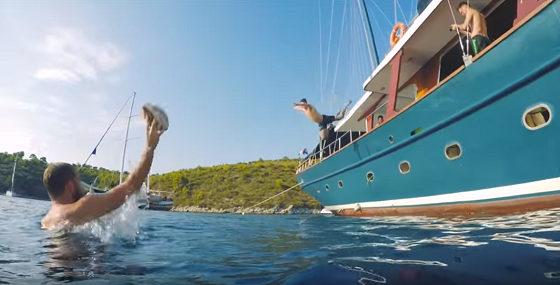 Check out this fabulous video by Thomas Alex Norman on a week in Central Dalmatia on a boat, which he described as one of the best weeks of the year. To learn more about sailing in Central Dalmatia, click here. It is one of the greatest films of all time, winning an impressive four Oscars. They are one of Croatia’s most famous exports, their unique musical product mesmerising fans all over the world. The beach. What to say? It is the SymBOL of the Adriatic. Zlatni Rat, Croatia’s most iconic beach. 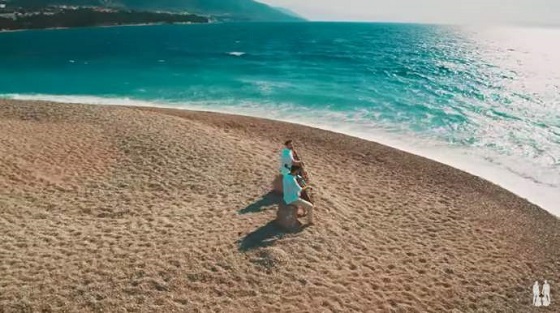 So what do you get if you bring Chariots of Fire, 2Cellos and Zlatni Rat together? Champions. Enjoy the video, and to learn more about the destination of Bol, click here.